Sheath Material: Type TM has a high watt density copper sheath, ideal for water heating applications. 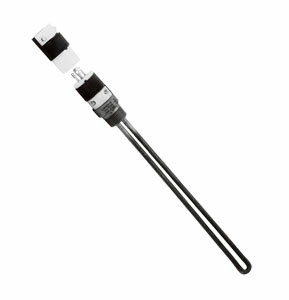 Type TMO has a lower watt density steel sheath for oil heating applications. Screw Plug: Type TM has a 1"brass screw plug. Type TMO has 1" steel screw plug. 참고: CAUTION AND WARNING! Fire and electrical shock may result if products are used improperly or installed or used by non-qualified personnel. See inside back cover for additional warnings.